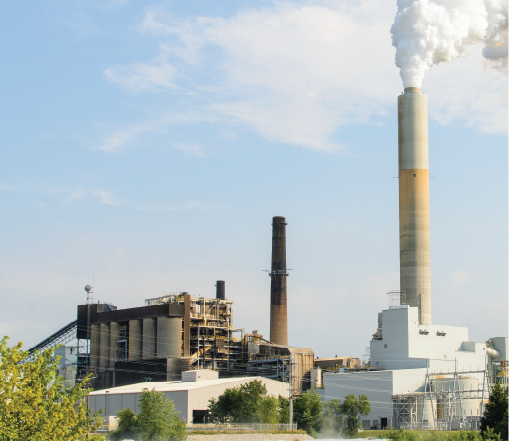 Eversource’s Merrimack Station coal-burning plant in Bow led the list with nearly 300|! !|000 pounds released into the environment – a drop of 26|! !|000 pounds from 2013. Toxic chemical releases declined in New Hampshire in 2014, led by emissions reduction by the state’s biggest polluter, Eversource, according to the US Environmental Protection Agency. All told, industry in New Hampshire released at least 16.5 million pounds of chemicals listed on the Toxics Release Inventory, nearly three-quarters emitted into the air, a 6.8 percent decrease from the previous year. Taken as a whole, emissions in all six New England states declined by an even larger amount – 11.7 percent. The big pollutants in the Granite State were sulfuric acid, nitrate compounds and hydrochloric acid. But there were also more than 15,000 pounds of lead released, and that is generally considered more of a threat to human health. Eversource’s Merrimack Station coal-burning plant in Bow led the list with nearly 300,000 pounds released into the environment, a 26,000-pound decrease. Some 255,000 pounds of those releases were sulfuric acid. Emissions at Eversource’s Schiller Station in Portsmouth, which burns both coal and wood, increased by about 6,000 pounds to 81,000 pounds. Some 64,000 pounds of that total was due to hydrochloric acid. It was third on the list. The list showed some sharp emissions increases by individual companies, notably a thermal management firm called Brazonics Inc. in Hampton, which catapulted up to the No. 2 spot from 22, and General Electric’s Hooksett facility, whose ranking jumped from No. 13 to No. 5. But both companies say they actually aren’t polluting any more than before. Brazonics said that a typographical error is the reason the list showed 78,000 pounds of nitrate compounds were emitted. It didn’t release any, it said, just as in previous years. GE’s emissions shot up thanks to more than 20,000 pounds of nickel – used in airport engines. That was more than triple the amount emitted the previous year, but the company said that though they were technically releases, nine-tenths of the metal was recycled into its own products. This is the 30th year of the inventory’s release. It does not include all chemicals and does not capture illegal discharges. And it does not include releases by companies with fewer than 10 workers.